If you have a standard electric stove with coil heating elements on the cooktop, you may occasionally find that the coil burners get soiled with food spills. Left unattended, the food residue can create unpleasant smoke, smells, or may even flame when the stove is operated. This is not a difficult job. You can finish it in about 20 minutes. Remove the completely cooled burners. Once the burners have completely cooled, remove them from the cooktop. 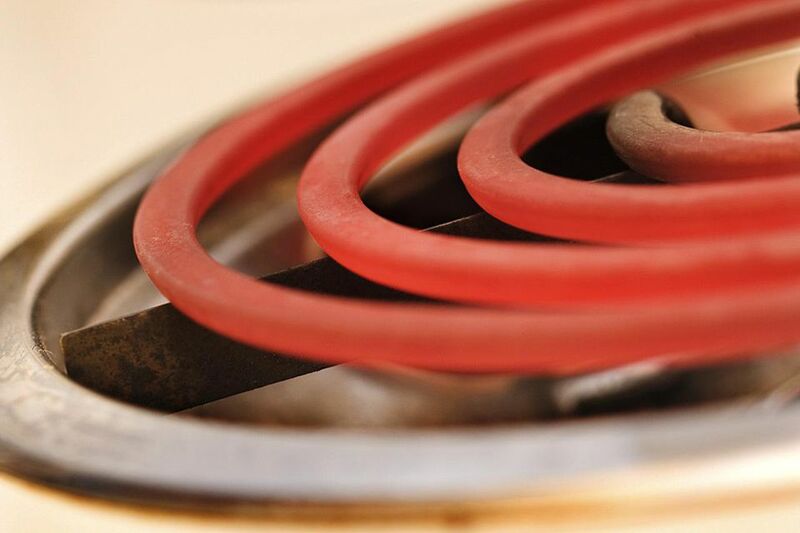 Most burners have two prongs that simply unplug from socket fittings on the stove, but on others, you may need to squeeze the prongs together or loosen mounting collars in order to pull the coils free. If you have questions about how to remove your heating coils, refer to your manufacturer's instructions for best practices. Take care when unplugging the coil, because bending the prongs may ruin it. Begin with dish soap and water. First, use a cleaning cloth and a mixture of mild dish soap and water to try to remove any food residue. Because the heater coils cook off most food that comes into contact with them, a mild wipe-down like this is often all that is needed. Don't submerge the coils or any electrical portion in water. Water can ruin the electrical connections that allow the coil to heat up. Remove stuck-on food. If mild dish soap and water wouldn't remove stuck or burnt-on food, try making a baking soda and water paste, and use it to gently scrub residue off of the electric heater coil. Really tough stains may benefit from allowing the baking soda paste to sit on the coil for up to 20 minutes, before scrubbing. Be sure to rinse off the baking soda paste thoroughly when you are finished. Clean the drip pans. If your cooktop has removable drip pans, this is the time to remove and clean those as well. Dump out any charred remnants of food. Wipe the drip pans down, dry them, and replace them on the cooktop before reinstalling the heater coils. Carefully plug the prongs on the heater coils back into their socket connections on the stove. Take care not to bend the prongs or damage them in any way. Maintain the burners. For regular maintenance of electric stove heater coils, just wipe down the coils at the same time you wipe down the top of the stove during routine kitchen cleaning. An electric stove heater coil that stops working is quite easy to replace. Simply find the part number on your stove's user manual, and order a replacement from an online retailer or buy one at a local appliance store.